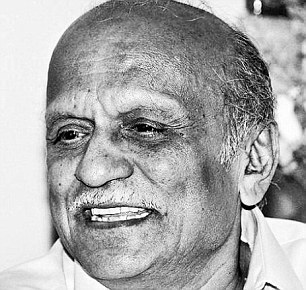 On this day, three years ago, the renowned Kannada scholar and rationalist MM Kalburgi was shot dead at his own residence. Over the years, there have been innumerable responses of outrage as well as demands from academics, cultural practitioners, activists and citizens to find the murderers and bring justice for not just Kalburgi, but for all the rational voices of dissent in the nation. Yes, M M Kalburgi, 77 years old, was shot dead in Dharwad on 30 August 2015. Kalburgi was “infamous” for his critical and rational views on Hindu-Lingayat-Veerashaiva belief and practices. His subjects of critique also included the gurus of the Veerashaiva mathas. He had accused them of being murderers of Basavanna. He was a rational and truthful researcher of the everyday life of the people of Karnataka. Hence, a critical voice was killed. The Indian Writers’ Forum unequivocally condemns the dastardly murder of Professor M. M. Kalburgi, eminent Kannada writer, scholar, academic and free thinker. We cannot but link this gruesome event to the earlier murders of the two rationalist activists, Govind Pansare and Narendra Dabholkar in Maharashtra as the three daylight murders have a common motive and follow a common pattern. Three public intellectuals have been murdered. PEN International mourns the passing of M. M. Kalburgi, Govind Pansare and Narendra Dabholkar, killed by unknown assailants. 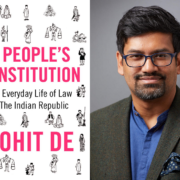 PEN International calls upon the Indian government to identify and arrest the perpetrators of these crimes. Kalburgi was the recipient of one of India’s highest literary awards, the Sahitya Akademi Award, and yet, after his murder, the Akademi remains silent even as its members resign in protest, and several award-recipients return their awards. Recently there has been continuous effort to destroy the long cherished pluralist heritage of India. Our country enjoys more than two thousand years heritage of rational schools of thought. But today, this rational mind is at the center of all attacks. The destroying forces are not only satisfied by twisting and suppressing historical facts, but are equally aggressive in growing an anti-scientific temperament and resorting to full-fledged violence in the society. They are openly assassinating prominent and critical thinkers like Dabholkar, Pansare, Kalburgi and Lankesh, continuing the tradition assassination, which started from Gandhi in independent India. It seems that these people are a part and parcel of those international terrorists who in Bangladesh have been slaughtering the free thinkers there. While interrogating Ganesh Miskin – a member of Hindu extremist group Sri Rama Sena, who was arrested in July on the suspicion of being the person who rode the motorcycle with Gauri Lankesh's assassin in the pillion – the Special investigation team has reportedly learnt that his recruiter, Amol Kale – the former convenor of Hindu Janajagruti Samiti (HJS) – is the killer of Kannada scholar and rationalist, M. M. Kalburgi.